For related races, see 1916 United States elections. Presidential election results map. Blue denotes those won by Wilson/Marshall, red denotes states won by Hughes/Fairbanks. Numbers indicate the number of electoral votes allotted to each state. The United States presidential election of 1916 was the 33rd quadrennial presidential election, held on Tuesday, November 7, 1916. 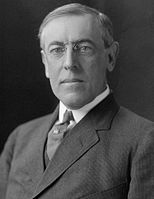 Incumbent Democratic President Woodrow Wilson defeated Supreme Court Justice Charles Evans Hughes, the Republican candidate. Wilson was the only sitting Democratic president to win re-election between 1832 and 1936. Wilson was re-nominated without opposition at the 1916 Democratic National Convention. The 1916 Republican National Convention chose Hughes as a compromise between the conservative and progressive wings of the party. Hughes defeated John W. Weeks, Elihu Root, and several other candidates on the third ballot of the convention, becoming the only Supreme Court Justice to serve as a major party's presidential nominee. While conservative and progressive Republicans had been divided in the 1912 election between the candidacies of then-incumbent President William Howard Taft and former President Theodore Roosevelt, they largely united around Hughes in his bid to oust Wilson. The election took place during the time of the Mexican Revolution and World War I. Although officially neutral in the European conflict, public opinion in the United States leaned towards the Allied forces headed by Great Britain and France against the German Empire and Austria-Hungary, due in large measure to the harsh treatment of civilians by the German Army in Belgium and northern France and the militaristic character of the German and Austrian monarchies, but in spite of their sympathy with the Allied forces most American voters wanted to avoid involvement in the war and preferred to continue a policy of neutrality. Wilson's campaign used the popular slogans "He kept us out of war" and "America First" to appeal to those voters who wanted to avoid a war in Europe or with Mexico. Hughes criticized Wilson for not taking the "necessary preparations" to face a conflict, which only served to strengthen Wilson's image as an anti-war candidate. Ironically, the United States would enter the war in April 1917, one month after Wilson's inauguration as president. After a hard-fought contest, Wilson defeated Hughes by nearly 600,000 votes in the popular vote. The 1916 election saw an increase in Wilson's popular vote from the four-way election of 1912, but a major decline in the number of electoral votes won. Wilson secured a narrow majority in the Electoral College by sweeping the Solid South and winning several swing states with razor-thin margins. Wilson won California by just 3,773 votes; had he lost California, he would have lost the election. Allan L. Benson of the Socialist Party and Frank Hanly of the Prohibition Party each finished with greater than 1% of the popular vote. 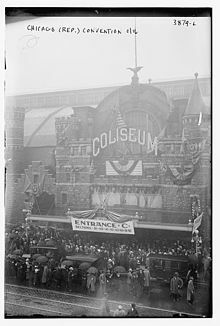 The 1916 Republican National Convention was held in Chicago between June 7 and 10. A major goal of the party's bosses at the convention was to heal the bitter split within the party that had occurred in the 1912 presidential campaign. In that year, Theodore Roosevelt bolted the Republican Party and formed his own political party, the Progressive Party, which attracted most of the Republican liberals. William Howard Taft, the incumbent president, won the nomination of the regular Republican Party. This split in the Republican ranks divided the Republican vote and led to the election of Democrat Woodrow Wilson. 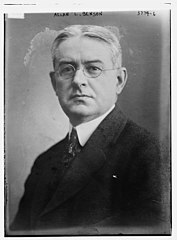 Although several candidates were openly competing for the 1916 nomination—most prominently conservative Senator Elihu Root from New York and liberal Senator John W. Weeks from Massachusetts—the party's bosses wanted a moderate who would be acceptable to both factions of the party. They turned to Supreme Court Justice Charles Evans Hughes, who had been serving on the court since 1910 and had the advantage of not having publicly spoken about political issues in six years. Although he had not actively sought the nomination, Hughes made it known that he would not turn it down; he won the nomination on the third ballot. 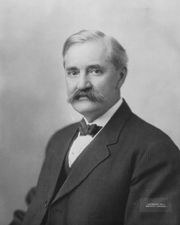 Former Vice President Charles W. Fairbanks was nominated as his running mate. Hughes was the only Supreme Court Justice to be nominated for president by a major political party. The 1916 Democratic National Convention was held in St. Louis, Missouri between June 14 and 16. Given Wilson's enormous popularity within the party as well as being an incumbent President, he was overwhelmingly re-nominated. 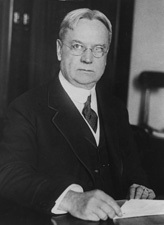 Vice President Thomas R. Marshall was also re-nominated with no opposition. In the campaign Edward M. House declined any public role, but was Wilson's top campaign advisor. Hodgson says, "he planned its structure; set its tone; guided its finance; chose speakers, tactics, and strategy; and, not least, handled the campaign's greatest asset and greatest potential liability: its brilliant but temperamental candidate." The Progressives re-nominated former President Theodore Roosevelt and nominated John Parker of Louisiana as his running-mate; others suggested for the Vice-Presidency were California Governor and the 1912 Vice-Presidential nominee Hiram Johnson, and Chairman of the Party Convention Raymond Robins, but both withdrew their names in favor of Parker. However, Roosevelt later telegraphed the convention and declared that he could not accept their nomination and would be endorsing Republican nominee Charles Hughes for the Presidency. With Roosevelt refusing to be their candidate, the Progressive Party quickly fell into disarray; there was a temporary shout led by former Representative Victor Murdock from Kansas for a ticket consisting of three-time Democratic nominee William Jennings Bryan and industrialist Henry Ford but it amounted to little. 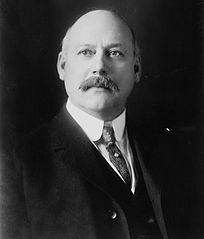 Some like National Committeeman Harold L. Ickes refused to consider endorsing Hughes, and there was some talk of nominating an alternative candidate, such as Hiram Johnson or Gifford Pinchot, in Roosevelt's stead. However those discussed refused to consider the notion, and by this point some leaders like Henry Justin Allen had started to follow Roosevelt's lead and endorsed the Republican ticket, and various state parties such as those in Iowa and Maine began to disband. Finally, when the Progressive Party National Committee met in Chicago on June 26, those in attendance begrudgingly endorsed Hughes; even those like Ickes who had vehemently refused to consider granting an endorsement to Hughes began to recognize that without Roosevelt the party had no electoral staying power. 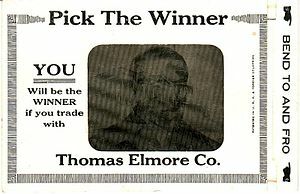 There had been a weak attempt to replace Roosevelt on the ticket with the former Representative Victor Murdock from Kansas, but the motion was defeated 31 to 15. Most of its members would return to the Republican Party, although a substantial minority supported Wilson for his efforts in keeping the United States out of World War I. Roosevelt had turned down the Progressive nomination for both personal and political reasons; he had become convinced that running for president on a third-party ticket again would merely give the election to the Democrats, a result he was loath to make possible, since he had developed a strong dislike for President Wilson. He also believed Wilson was allowing Germany and other warring nations in Europe to "bully" and intimidate the United States. However many in the party, notably the Vice-Presidential nominee John Parker and Bainbridge Colby, remained steadfast in their refusal to back the Republican ticket, though they differed in their ultimate aims; Parker for example desired for a Progressive ticket to be put into the Presidential race (himself now being the major contender for the top of the ticket among the bolters), whereas Colby, while opposed to the endorsement of Hughes, considered a Progressive ticket at this point impractical and privately supported Wilson for the Presidency. Still it appeared likely for a time that another convention would be called in early August until a Conference held among the remaining representatives of the party in Indianapolis decided against it, while also narrowly voting against filling the vacancy that had been caused by Roosevelt's refusal to be placed on the ticket (though Parker remained the Vice-Presidential nominee). Electoral tickets would still be put in place where the Progressive Party remained organized in the hopes of electing enough electors so as to possibly hold the balance of power in a close contest between the Democratic and Republican candidates. While running as the Vice-Presidential nominee, John Parker would endorse Woodrow Wilson for the Presidency. While the initial frontrunner for the nomination was the popular Eugene V. Debs, he opted to instead run for Congress in his native Indiana, leaving the field open to other contenders. 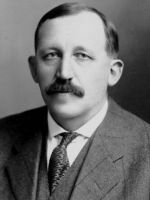 Allan Benson, a newspaper editor from New York, within a short time came to dominate the field through his fervent opposition to militarism, running on the proposal that all future participation in wars should be voted upon in a national referendum. The vote for the nomination was conducted through a mail-order ballot, with Benson capturing 16,639 out of a total of 32,398 cast (to 12,264 for Maurer and 3,495 for Le Sueur). A vote for the Vice-Presidential nomination was jointly held with George Ross Kirkpatrick, a lecturer from New Jersey, winning the nomination 20,607 to 11,388 over Kate Richards O'Hare of Missouri. The Democrats built their campaign around the slogan, "He Kept Us Out of War," saying a Republican victory would mean war with both Mexico and Germany. Wilson's position was probably critical in winning the Western states. Charles Evans Hughes insisted on downplaying the war issue. He advocated a program of greater mobilization and preparedness. With Wilson having successfully pressured the Germans to suspend unrestricted submarine warfare, it was difficult for Hughes to attack Wilson's peace platform. 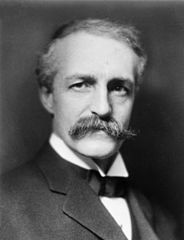 Instead, Hughes criticized Wilson's military interventions in Mexico, where the U.S. was supporting various factions in the Mexican civil war. 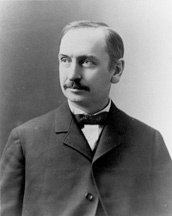 Hughes also attacked Wilson for his support of various "pro-labor" laws (such as limiting the workday to eight hours), on the grounds that they were harmful to business interests. His criticisms gained little traction, however, especially among factory workers who supported such laws. Hughes was helped by the vigorous support of popular former President Theodore Roosevelt, and by the fact that the Republicans were still the nation's majority party at the time. Hughes made a key mistake in California. Just before the election, Hughes made a campaign swing through the state, but he never met with the powerful Republican Governor Hiram Johnson to seek his support. Johnson took this as a snub and never gave Hughes his full support. Wilson carried California by 3,420 votes (0.3%) and with it the presidency. Results by county explicitly indicating the percentage for the winning candidate. Shades of blue are for Wilson (Democratic), shades of red are for Hughes (Republican), shades of green are for "No Candidate" (Progressive), grey indicates zero recorded votes and white indicates territories not elevated to statehood. The result was exceptionally close and the outcome remained in doubt for several days, partially because of the wait for returns from California in the west. 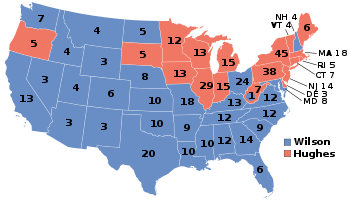 The electoral vote was one of the closest in U.S. history – with 266 votes needed to win, Wilson took thirty states for 277 electoral votes, while Hughes won eighteen states and 254 electoral votes. Wilson was the second of just four presidents in US history to win re-election with a lower percentage of the electoral vote than in their prior elections, following James Madison in 1812. As the number of electors had increased during Madison's first term, but held steady throughout Wilson's, Wilson was also the first of only three successfully reelected presidents to receive fewer total electoral votes. This result would be experienced again only by Franklin D. Roosevelt in 1940 and 1944 and by Barack Obama in 2012. The key state proved to be California, which Wilson won by only 3,800 votes out of nearly a million cast. Although New Hampshire may not have been a deciding state in the election, the margin of victory for Wilson there was the second smallest ever recorded in an American presidential election at just 56 votes, behind Franklin Pierce's 25 vote victory in Delaware in 1852. [a] If Hughes had carried California and its thirteen electoral votes, he would have won the election. A popular legend from the 1916 campaign states that Hughes went to bed on election night thinking that he was the newly elected president. When a reporter tried to telephone him the next morning to get his reaction to Wilson's comeback, someone (stories vary as to whether this person was his son or a butler or valet) answered the phone and told the reporter that "the president is asleep". The reporter retorted, "When he wakes up, tell him he isn't the president." Wilson's popular vote margin of 3.1 percent was the smallest attained by a victorious sitting president until 2004. By defeating Hughes, Woodrow Wilson became the first Democratic president to win a second consecutive term since Andrew Jackson in 1832. Vice-President Thomas R. Marshall also earned the distinction of becoming the first vice-president elected to a second term since John C. Calhoun in 1828. Wilson and Marshall became the first incumbent presidential ticket to win re-election, since James Monroe and Daniel D. Tompkins in 1820. The total popular vote cast in 1916 exceeded that of 1912 by 3,500,000. The very large total vote was an indication of an aroused public interest in the campaign. It was larger in every section, notably in the East North Central section. Some of this was due to the extension of suffrage to women in individual states. In Illinois, for example, the total vote was one million greater than in 1912. It increased by more than two hundred and sixty thousand in Kansas, and in Montana, it more than doubled. Wilson's vote was 9,126,868, an increase of nearly three million. There was a gain in every section and in every state. Hughes, the nominee of the united Republican Party, polled more votes by nearly 1,000,000 than had ever been cast for a Republican candidate. In some of the states carried by Wilson, particularly in the South, the margin of popular vote was large. Considering the vote by sections, Wilson ran behind Hughes in New England, the (Northeastern) Mid-Atlantic states, and in the East North Central section. His lead was not great in the West North Central, but was very large in the West South Central and Mountain as well as in the East South Central and South Atlantic sections. 1/2 of Wilson's total vote was cast in the 18 states that he did not carry. Of the 3,022 counties making returns, Wilson led in 2,039 counties (67.47%). Hughes managed to carry only 976 counties (32.30%), the smallest number in the Republican column in a two-party contest during the Fourth Party System. Two counties (0.07%) split evenly between Wilson and Hughes. Although the Progressive Party had no presidential candidate (just candidates for presidential electors who were unpledged for president), they carried five counties (0.17%), whilst nine counties – 0.30 percent and the same as in 1912 – inhabited either by Native Americans without citizenship or disenfranchised African Americans failed to return a single vote. There was a shift of votes to the Democratic Party, at least for this election, which was in locality and degree a novel phenomenon in party voting for the Fourth Party System. Wilson carried 200 counties that had never voted Democratic in a two-party contest prior to that time. This shift of votes led some to believe that the Democratic Party might have the position of decided advantage in the election of 1920, a judgment that later proved disastrously wrong. Wilson was the last Democrat to win an election without carrying Minnesota, Massachusetts and Rhode Island (although he had previously won the two latter states in 1912). He was also the last Democrat elected to two terms without carrying Michigan and Pennsylvania either time. Although other Democrats since have won elections without one or both states,[b] they either only served one term or they carried them both in another Presidential election. To date this is the last presidential election in which North Dakota and South Dakota did not vote for the same candidate, with the only others being 1896 and 1912. This is the last time Illinois voted for an eventual losing candidate until 1976, the last time Minnesota voted for an eventual losing candidate until 1968, the last time West Virginia voted for a losing candidate until 1952, and the only time a Democrat was elected without West Virginia until 2008. This was the last election in which the Democrats won New Hampshire until 1936 and the last in which the Democrats won Arizona, California, Colorado, Idaho, Kansas, Maryland, Missouri, Montana, Nebraska, Nevada, New Mexico, North Dakota, Ohio, Utah, Washington, and Wyoming until 1932. Source (Popular Vote): Leip, David. "1916 Presidential Election Results". Dave Leip's Atlas of U.S. Presidential Elections. Retrieved July 28, 2005. ^ Theodore Roosevelt won Maryland in 1904 by just fifty-one votes, but voters voted for individual presidential electors and only one Republican elector, Charles Bonaparte, survived the tally. Likewise, Henry Clay won Maryland by only four votes in 1832, but Maryland chose electors by district. ^ Franklin Roosevelt in 1940, Harry Truman in 1948 and Jimmy Carter in 1976 won without Michigan; FDR in 1932 and Truman in 1948 won for the Democrats whilst losing Pennsylvania. ^ "Wilson for 'America First'", The Chicago Daily Tribune (October 12, 1915). ^ Cooper, John Milton. Woodrow Wilson: A Biography, p. 278 (Vintage Books 2011). ^ Garrett, Garet. Defend America First: The Antiwar Editorials of the Saturday Evening Post, 1939-1942, p. 13 (Caxton Press 2003). ^ Godfrey Hodgson (2006). Woodrow Wilson's right hand: the life of Colonel Edward M. House. Yale University Press. p. 126. ^ "MOOSE ANGRY AND BITTER - Convention Ends in Gloom After Long Fight for Roosevelt. NAME HIM AMID CHEERS Three Minutes Afterward They Hear of the Republican Stampede to Hughes. COLONEL'S LETTER A BOMB Delegates Disperse Sadly When They Hear That He Conditionally Declines to Run. MOOSE CONVENTION CLOSES IN GLOOM" (PDF). The New York Times. June 11, 1916. Retrieved August 18, 2016. ^ "BULL MOOSE CHIEFS GOING TO OYSTER BAY - Gov. Johnson and Others to Visit Roosevelt This Week to Discuss Party's Plans. DIVIDED ON THE FUTURE Some Leaders Insist on Third Ticket - - Henry Allen Announces He Will Support Hughes" (PDF). The New York Times. June 12, 1916. Retrieved August 18, 2016. ^ Special to The New York Times. (June 27, 1916). "HUGHES INDORSED BY MOOSE COMMITTEE - National Body Adopts Suggestion of Roosevelt, 32 to 6, With 9 Members Not Voting. MOOSE INDORSES, HUGHES ACCEPTS" (PDF). The New York Times. Retrieved August 18, 2016. ^ "MOOSE CONVENTION MAY NAME WILSON - Second Progressive National Gathering Will Meet at Chicago Aug. 5. LOOK TO COLBY TO LEAD Insurgents Get Democratic Assurances That They Will Have No Reason to Regret Flop" (PDF). The New York Times. July 25, 1916. Retrieved August 18, 2016. ^ a b "MOOSE WON'T NAME ANOTHER CANDIDATE - Leaders at Indianapolis Conference, However, Severely Criticise Indorsement of Hughes. CALL ACTION A BETRAYAL Plan to Name Electoral Tickets in Some States and Unite with Other Parties After Election MOOSE WON'T NAME ANOTHER CANDIDATE" (PDF). The New York Times. August 4, 1916. Retrieved August 18, 2016. ^ "A.L. BENSON HEADS SOCIALIST TICKET - Yonkers Man Nominated for the Presidency in Primary Taken by Mail. BALLOTS TOTALED 32,398 G.R. Kirkpatrick Chosen for Vice President - Berger and Hillquit Also Win" (PDF). The New York Times. March 12, 1916. Retrieved August 18, 2016. ^ The Presidential Vote, 1896-1932 – Google Books. Stanford University Press. 1934. Retrieved August 12, 2014. ^ "1916 Presidential General Election Data - National". Uselectionatlas.org. Retrieved April 15, 2013.
Cooper, Jr., John Milton. Woodrow Wilson (2009), ch 16. Davies, Gareth, and Julian E. Zelizer, eds. America at the Ballot Box: Elections and Political History (2015) pp. 118–38. Gould, Lewis L. The First Modern Clash Over Federal Power: Wilson Versus Hughes in the Presidential Election of 1916 (University Press of Kansas; 2016) 178 pages. Leary, William M., Jr. (1967). "Woodrow Wilson, Irish Americans, and the Election of 1916". The Journal of American History. 54 (1): 57–72. doi:10.2307/1900319. JSTOR 1900319. Link, Arthur Stanley (1954). Woodrow Wilson and the Progressive Era, 1910–1917. New York: Harper. Link, Arthur Stanley (1965). Wilson: Campaigns For Progressivism and Peace 1916–1917. Princeton: Princeton University Press. Lovell, S. D. (1980). The Presidential Election of 1916. Carbondale: Southern Illinois University Press. ISBN 0-8093-0965-3. Pietrusza, David (2018). TR's Last War: Theodore Roosevelt, the Great War, and a Journey of Triumph and Tragedy. Guilford (CT): Lyons Press. Wikimedia Commons has media related to United States presidential election, 1916. This page was last edited on 5 April 2019, at 22:21 (UTC).